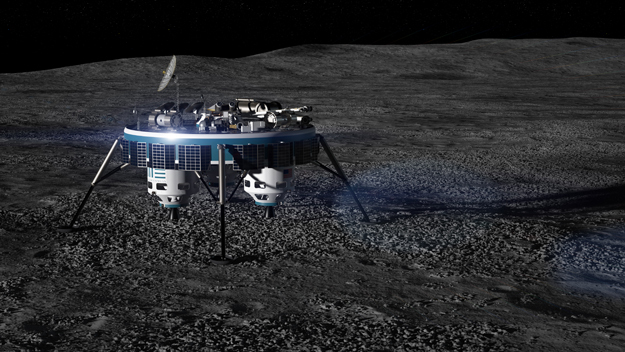 On July 12, 2017, Moon Express unveiled its exploration architecture, including plans to establish the world's first permanent lunar outpost at the South Pole of the Moon by 2020. "The Moon is an essential part of our human future, and a gateway to the solar system. 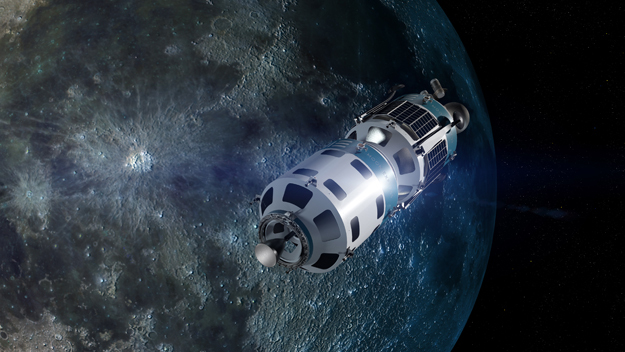 Our Moon Express exploration architecture is designed to support an American return to the surface of the Moon, while collapsing the cost of lunar exploration for everyone. We want to help reopen the lunar frontier and redefine the possible for a new generation, inspiring and enabling a new era of exploration, discovery, commerce and adventure." - Bob Richards, Founder & CEO, Moon Express, Inc. Moon Express is working closely with the U.S. government to assure our freedom of enterprise in space with deference to international treaties. The "Space Resource and Utilization Act of 2015" was the first step in the process, recognizing U.S. private sector rights to seek, obtain and utilize space resources. any government signatory to the Outer Space Treaty exercised its rights and obligations to formally authorize and supervise a commercial entity to fly a mission beyond Earth orbit. This historic ruling is a breakthrough U.S. policy decision supporting our commercial lunar exploration and discovery and heralding a new era of expanding space enterprise. 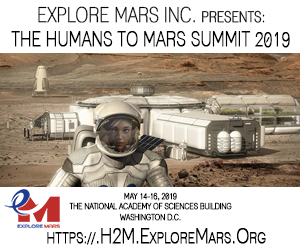 Our maiden Mission Approval establishes an important precedent for the private sector to engage in peaceful space exploration, bringing with it monumental implications for the advancement of technology, science, research, and development, as well as commercial ventures that expand Earth's economic sphere. As a country built on the foundations of Earth's frontiers, the United States stands unique with the opportunity to focus the power of its entrepreneurial history and enterprising vision to open the space frontier, to the Moon, and beyond. It's been 45 years since the United States left the surface of the Moon to the legacy of Apollo and a generation past. Moon Express is working to reopen the American frontier on the Moon and redefine the possible for new generations. The Moon Express MX family of flexible, scalable robotic explorers can reach the Moon and other solar system destinations from Earth orbit. The MX spacecraft architecture supports multiple applications, including delivery of scientific and commercial payloads to the Moon at low cost using a rideshare model, to science expeditions to distant worlds. Our MX family of robotic explorers are configurable to a wide variety of available and emerging launch systems, all designed to collapse the cost of deep space access beyond Earth orbit. On October 1, 2015, we announced a multi-mission launch contract with Rocket Lab USA for up to five launches starting in 2017. A breakthrough in low cost space exploration, the single stage MX-1 can deliver up to 30kg to the lunar surface*. 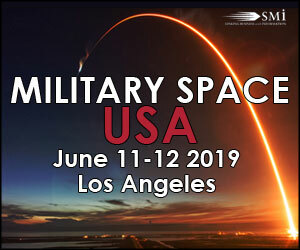 Designed for Scout Class exploration capabilities starting from low Earth orbit, MX-1 delivers flexibility and performance to revolutionize access to the Moon and cis-lunar space. High performance, smart and robust for demanding or long duration expeditions, MX-1 is environmentally green, using eco-friendly fuels, advanced carbon composites and silicates, powered by the Moon Express PECO rocket engine, for an unparalleled capability in space robotics. Available in orbiter, lander and deep space probe configurations. A breakthrough in low cost space exploration, the MX-1E, is a high performance spacecraft uses environmentally green, using eco-friendly fuels, advanced carbon composites and silicates, powered by the Moon Express PECO rocket engine, for an unparalleled capability in space robotics. The MX-1E Scout Class robotic explorer descends toward the lunar surface carrying a suite of science and exploration instruments after a 4-5 day journey from Earth. The MX-1E is a single stage spacecraft that can deliver up to 30kgs to the lunar surface, and is a available in orbiter, lander and deep space probe configurations. A spectacularly capable dual stage robotic explorer with enough punch to reach Venus or the moons of Mars from low Earth orbit. The MX-2 doubles the capability of the MX-1 in cis-lunar space and brings the inner solar system within reach. Dual stage flexibility drives more payload to the lunar surface or extends your reach to deep space. Compatible with existing and emergent launch vehicles, the MX-2 delivers exhilarating Scout Class possibilities for exploration and commerce at low cost. The MX-2 is available in orbiter, lander, deep space and dual-probe configurations. The MX-2 doubles the capability of the MX-1 in cis-lunar space and brings the inner solar system within reach. Dual stage flexibility drives more payload to the lunar surface or extends your reach to deep space. Compatible with existing and emergent launch vehicles, the MX-2 delivers exhilarating Scout Class possibilities for exploration and commerce at low cost. Designed as a workhorse that can deliver 150kg to low lunar orbit from low Earth orbit, with a range of configurations to support lunar landing and cis-lunar operations, the MX-5 can also be outfitted with MX-1 or MX-2 staged systems that can bring the entire solar system within reach with Discovery Class capabilities. With 5 PECO engines delivering solar system level ΔV, the MX-5 is a categorical improvement on conventional approaches to spacecraft, with embedded cost reduction through common systems and efficient adaptability to a multitude of jobs at a transformer level. The MX-5 is available in orbiter, lander and deep space probe and sample return configurations. Designed as a workhorse that can deliver 150kg to low lunar orbit from low Earth orbit, with a range of configurations to support lunar landing and cis-lunar operations, the MX-5 can also be outfitted with MX-1 or MX-2 staged systems that can bring the entire solar system within reach with Discovery Class capabilities. With 9 PECO engines churning out solar system conquering ΔV, the MX-9 can deliver up to 500kg to the lunar surface from GTO. Designed for Frontier Class exploration capabilities, MX-9 will support robust lunar sample return operations. Like it's MX-5 little brother, the MX-9 can also be outfitted with MX-1 or MX-2 staged systems that can deliver over 10kms ΔV and extend its reach to span the solar system, and beyond. The MX-9 is available in orbiter, lander and deep space probe and sample return configurations. With 9 PECO engines churning out solar system conquering V, the MX-9 can deliver up to 500kg to the lunar surface from GTO. Designed for Frontier Class exploration capabilities, MX-9 will support robust lunar sample return operations. Like it's MX-5 little brother, the MX-9 can also be outfitted with MX-1 or MX-2 staged systems that can deliver over 10kms delta V and extend its reach to span the solar system, and beyond. MX-9 return vehicle launches from the Moon toward Earth carrying a treasure of lunar samples. The MX-9 is a Frontier Class robotic explorer system that can deliver up to 500kg to the lunar surface, and can be configured in orbiter, lander, sample return, and deep space probe configurations. The Moon Express PECO rocket engine is a green and lean generatively cooled bi-propellant rocket engine that powers all the MX robotic explorers. Fueled by eco-friendly high test hydrogen peroxide (HTP) and rocket engine grade kerosene (RP-1), the PECO engine is 3D printed from advanced materials. 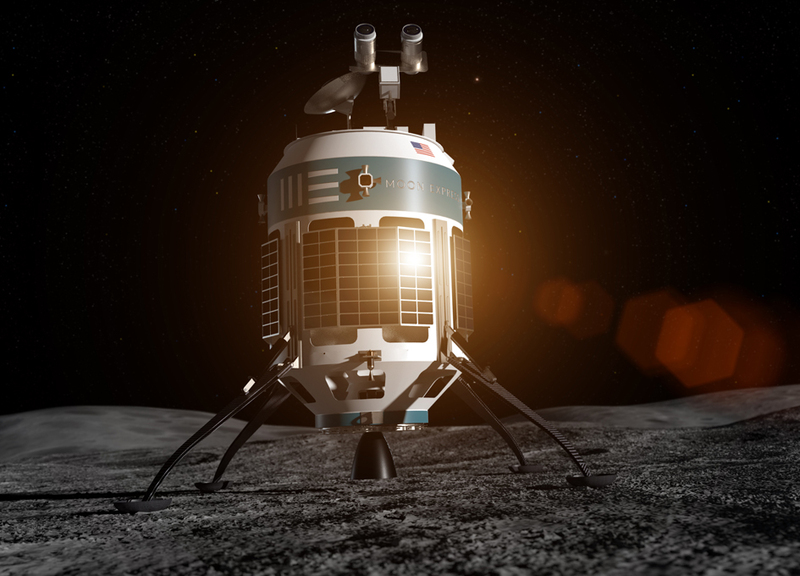 Moon Express is working toward three maiden robotic missions to the Moon by 2020. Our maiden robotic expeditions to the Moon will redefine the possible by bringing the Moon within reach of everyone. Our robotic explorer systems are designed to collapse the cost of access to the Moon, introduce a new commercial paradigm for government missions, democratize lunar research and exploration, and blaze the trail for commercial space transportation and exploration beyond Earth's orbit. Our on-going expeditions to the Moon with robotic explorers will collapse the cost of lunar access and enable new markets and opportunities to arise, bringing the Moon within reach by creating low cost frequent opportunities for democratized lunar exploration by scientists, researchers, students, and everyday people. Our goal is to open the lunar frontier for all of us, ultimately expanding Earth's economic and social spheres to our 8th continent, the Moon. 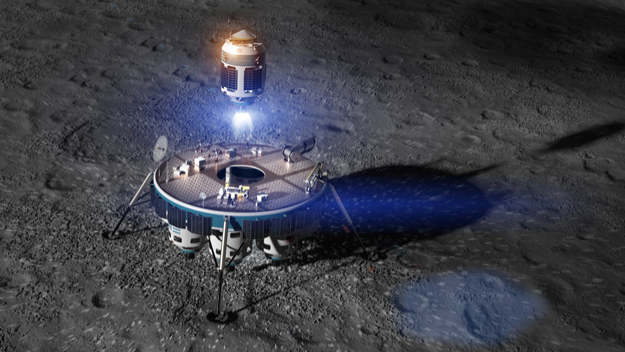 The Lunar Scout expedition will be the first commercial voyage to the Moon. 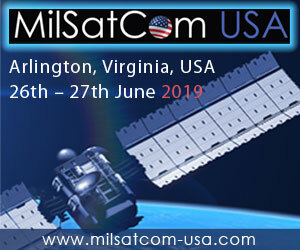 This historic expedition will demonstrate the cost effectiveness of entrepreneurial approaches to space exploration, carrying a diverse manifest of payloads including the International Lunar Observatory, "MoonLight" by the INFN National Laboratories of Frascati and the University of Maryland, a Celestis memorial flight. Following completion of operations supporting our Lunar Scout expedition partners, we will attempt to win the $20M Google Lunar XPRIZE. THE 1ST COMMERCIAL SOUTH POLE EXPEDITION The Lunar Outpost expedition will enable the first commercial presence and exploration of the lunar South Pole. The poles of the Moon have concentrations of water and other valuable resources, as well as "peaks of eternal light" where permanent sunshine and direct continuous communication with Earth is possible. The primary goals of this mission are to set up the first lunar research outpost, prospect for water and useful minerals, and accommodate a variety of research instruments for our expedition partners. The Harvest Moon expedition will take place by 2020 and includes the first commercial sample return mission, which also begins the business phase of lunar resource prospecting. The lunar samples brought back will be the only privately owned Moon materials on Earth, and will be used to benefit science as well as commercial purposes. 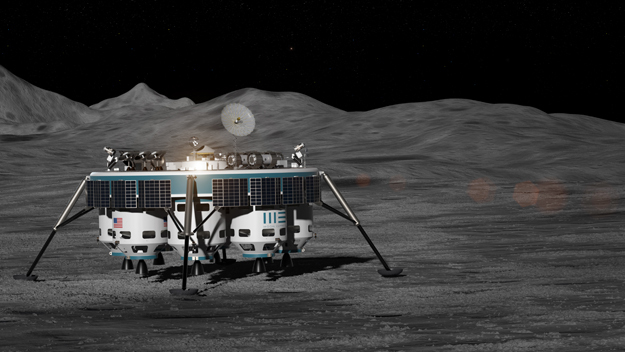 Moon Express is one of three U.S. companies partnered with NASA for lunar lander technology development under the NASA Lunar CATALYST program. 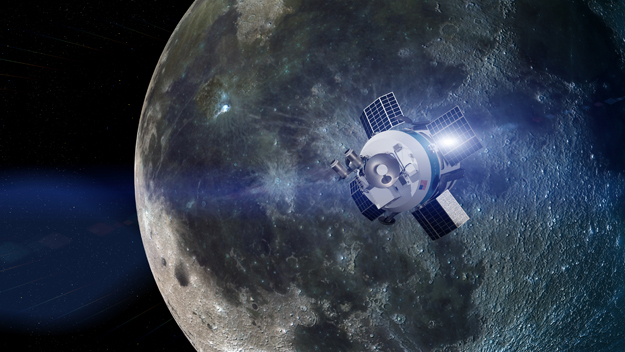 Established in 2014, NASA's Lunar CATALYST program is a no-exchange of funds public-private partnership that pools NASA's deep expertise with commercial business models to help return America to the lunar surface.